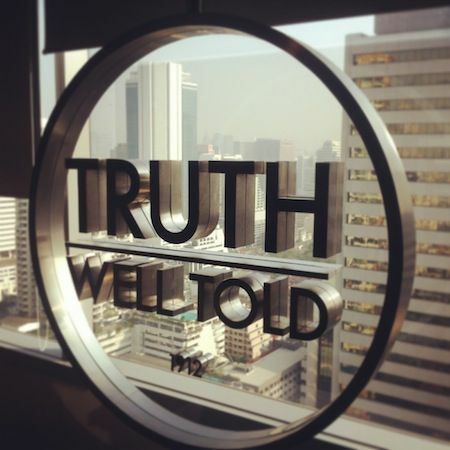 McCann is the largest advertising and communications network in the world, it is an impressive integrated agency which has over 200 offices in 130 countries worldwide. McCann have created some seriously iconic campaigns such as the Milky Bar Kid and Coca-cola’s Santa. An agency like this is always forward thinking and investing in the best ideas out there. 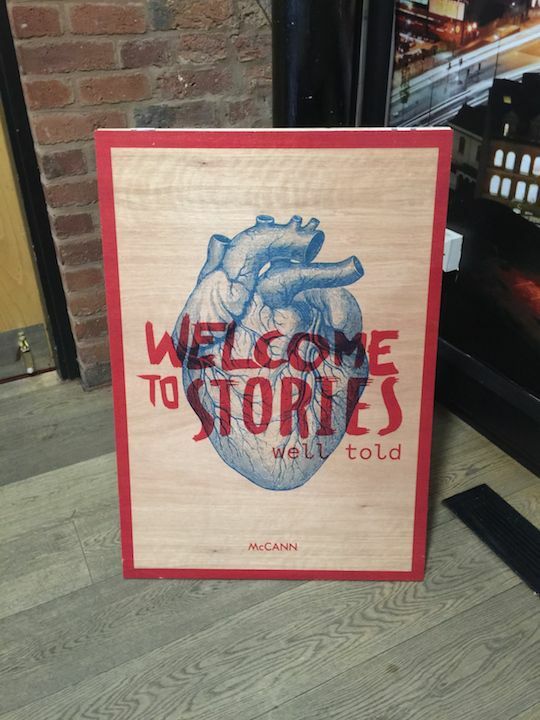 The Birmingham branch of McCann recently held a digital seminar in the city, which boasted speakers from big names in digital such as Twitter, BuzzFeed, The Guardian, Huffington Post and Gleam Features. 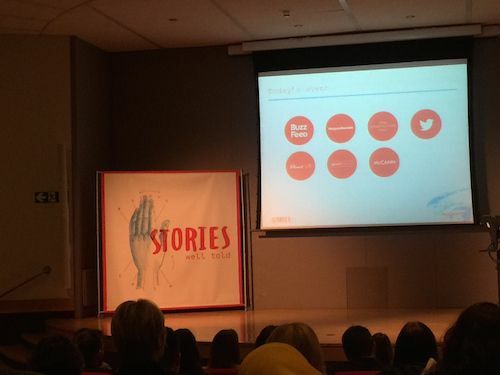 The seminar which was titled ‘Stories Well Told’ aimed to discuss the different ways in which stories unite us. The story telling methods might have developed over time but they are as relevant ever. Street Advertising Services were asked by McCann Birmingham to wow it’s guests with something that would send jaws straight to the floor. They wanted to know if we have any unusual ways of telling a story….of course we said “heck yes!”, loaded up the the Mystery Machine with the latest tech and headed over to the venue. We set up a demonstration area and gave only the brave, curious and adventurous the opportunity to enter another dimension. This was a great opportunity for us to showcase our development projects! 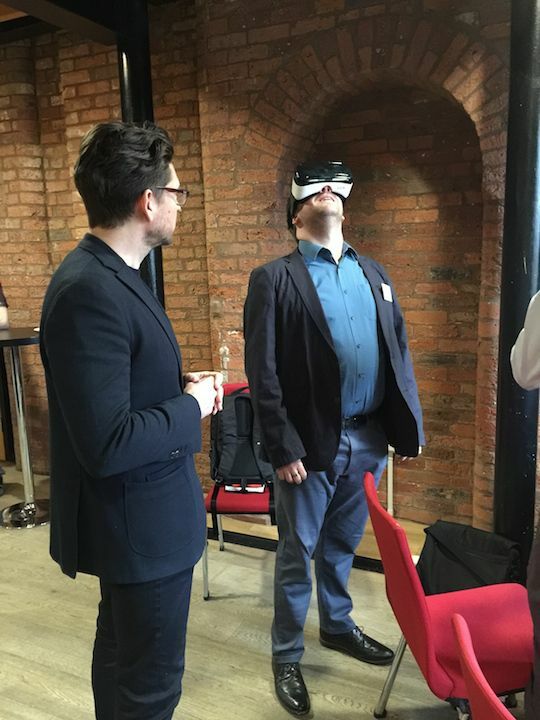 What we had to offer the innovators attending the seminar was Samsung Gear VR which puts itself out there as being ‘beyond imagination’ and Oculus Rift VR which allows virtual reality to become...well, reality! Both Samsung Gear and Oculus Rift software allow you to become completely immersed in a virtual world. This is the stuff of sci-fi movies! And boy do we love sci-fi! 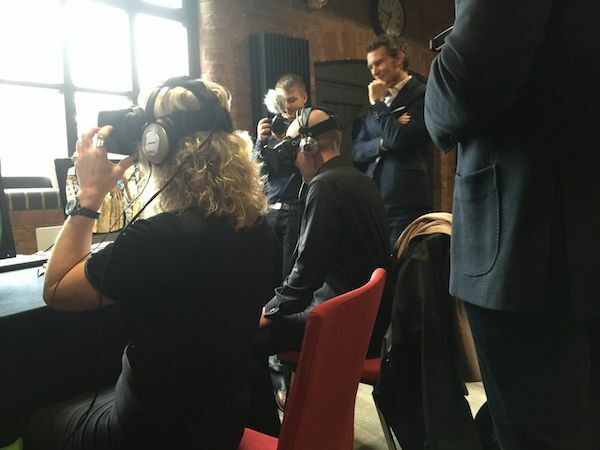 The experiences available when using Oculus Rift vary from roller coaster rides, swimming with sharks, experiencing first hand what it is like to have schizophrenia or simply taking a tour of a luxury home. With Samsung Gear you can sit down to dinner with a Mongolian family, float in space, dive into an aquarium or experience a movie trailer with an impressive 360 degree view of the action. 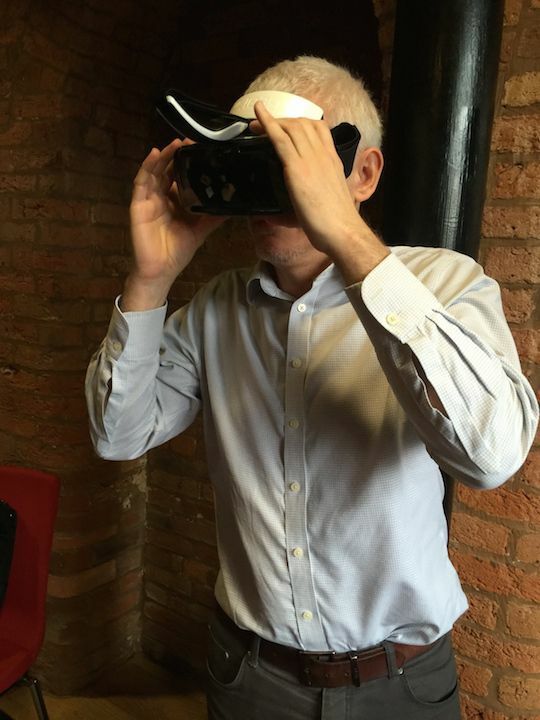 The great thing is that this technology gives you a 360 degree view of your surroundings, you move your head to the left in the real world and you simultaneously turn your head to the left in the virtual world, the effect makes your stomach do cartwheels....in a good way! 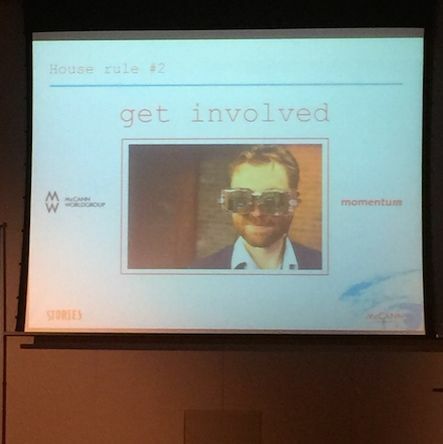 McCann wanted everyone to experience what us at Street Advertising Services had come up with for the event, urging everyone to "get involved!" 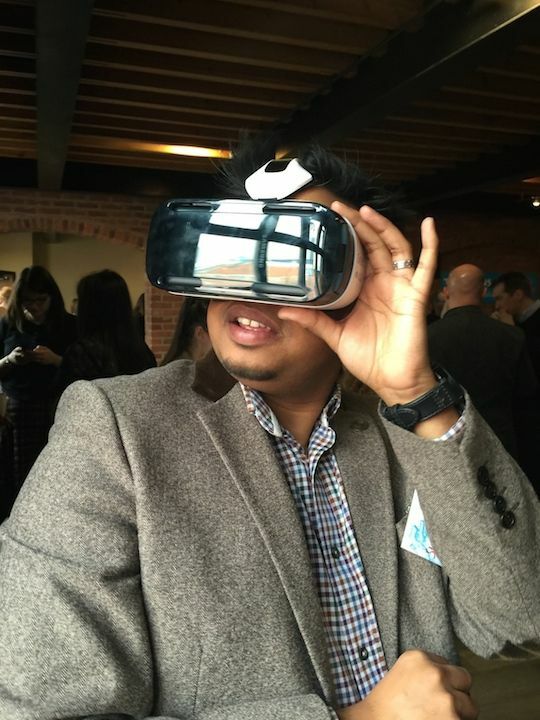 Above is our very own Q testing out our Samsung Gear VR experience. ^ Don't mind us, we are just busy blowing people away with awesome technology! 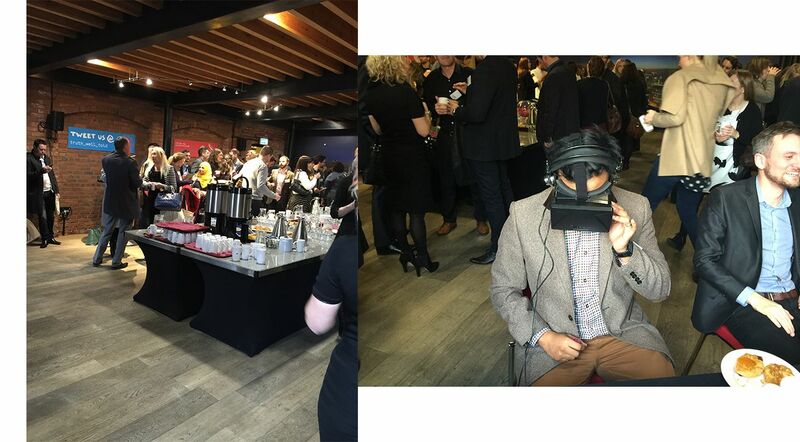 We had a lot of interest from people attending the event and everyone who tested out the Oculus Rift and Samsung Gear could see it’s massive potential in telling the story of a brand. The greatest thing about this technology is that it brings out the kid in all of us! and I think you will agree that the most creative beings in the world are children. 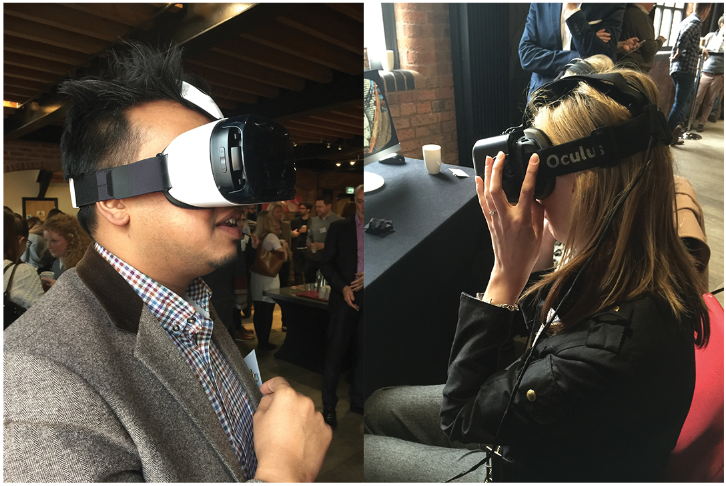 If you want to learn more about Samsung Gear VR, Oculus Rift VR and what it can bring to your event or brand then don't hesitate to get in touch! Here at Street Advertising Services we are massive tech heads and we know exactly how to tailor new technology to meet the needs of your campaign.